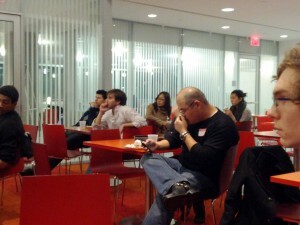 Last week I took the long trek uptown to attend the monthly Columbia Venture Community meetup. The CVC is a private meetup for those affiliated with Columbia University, but I managed to score an invite through unusual means. Honorary Twilion Jeff Novich was using the February CVC Meetup to demo and test Cnvrge, a Twilio-Powered SMS networking game that he kicked off back in May at the TechCrunch Disrupt Hackathon, and he asked me to come check it out. I entered the room, filled with complementary pizza and soda, of course, and was greeted pleasantly by MC Jeff. Jeff is a veteran NYC entrepreneur working on Patient Communicator at the Blueprint Health accelerator, but he has also bested quite a few hackathons in his time. Today, however, he was not hacking, and instead handed me a simple business card with instructions on how to join his Cnvrge networking system. Once everyone had received their business cards and had registered, things kicked off. I quickly got an SMS that said “Meeting # 1 – Go meet Jonathan (TheSquareFoot Co-founder, MBA) at Location 4” and we sat down to chat about how Jonathan was building an awesome platform for finding commercial real estate. Seven minutes later, we both got a new SMS instructing us to move on to our next meeting. Nine meetings later, I left the meetup a pizza-bloated but much more connected man. It was a great experience, and at the end of the night I had been introduced to 10 awesome entrepreneurs, hackers, and students who I continue to run into at events! 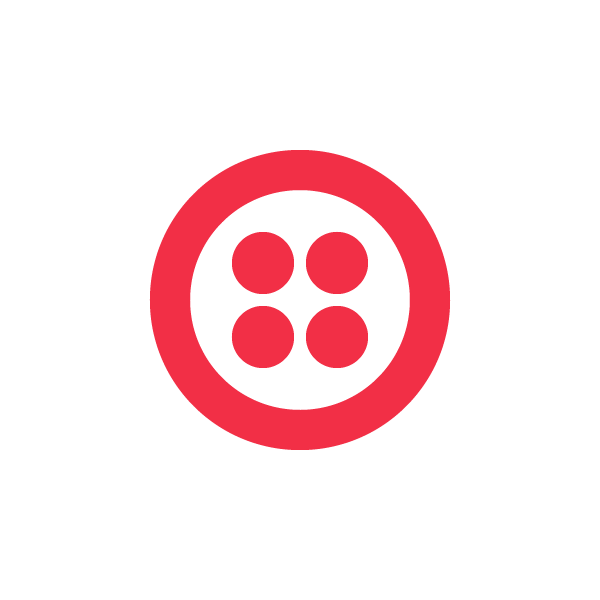 I’d like to thank Jeff and the Columbia Venture Community for hosting this great event and demonstrating another unique and community-building application using Twilio.